It's almost time to send out my next newsletter and I've just realised I haven't let you know what this month's prize bundle is! 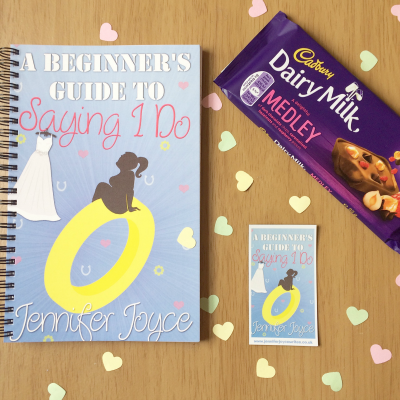 With each newsletter, I pick a random winner from my list of subscribers to win a prize, and this month you could win the following bundle, comprising of A Beginner's Guide To Saying I Do notebook and magnet, as well as some yummy chocolate to enjoy! All subscribers are automatically entered into the draw so you don't have to do anything at all to enter once you've subscribed. Newsletters go out around once a month, with book news, exclusive content and book recommendations. If you haven't subscribed yet, you can do that right now by popping your details in the form below!